This year’s Easter Holidays in Hong Kong fall from April 19th – 22nd. Our final delivery date will be April 18th and we will resume our regular delivery on April 23rd. During the holidays our online customer service will only provide limited services, thank you for your patience and understanding. The Easter Holidays in the US, England, Australia, and Hong Kong fall on April 19th – 22nd. Our warehouses in the US, UK, AUS & HK will be closed during the holidays. The final delivery date from our HK warehouse during this period will be from April 18th and our service will proceed again on April 23rd. During the holidays our online customer service will only provide limited services, we appreciate your patience and understanding. 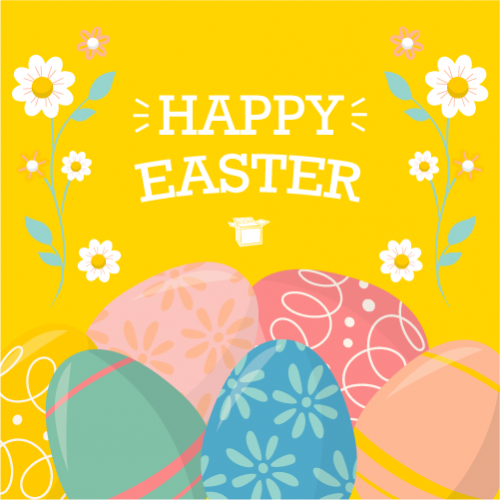 The UK and Australia warehouses* are closed during the Easter holidays (April 19 to 22). All courier services will resume operation after the holidays.